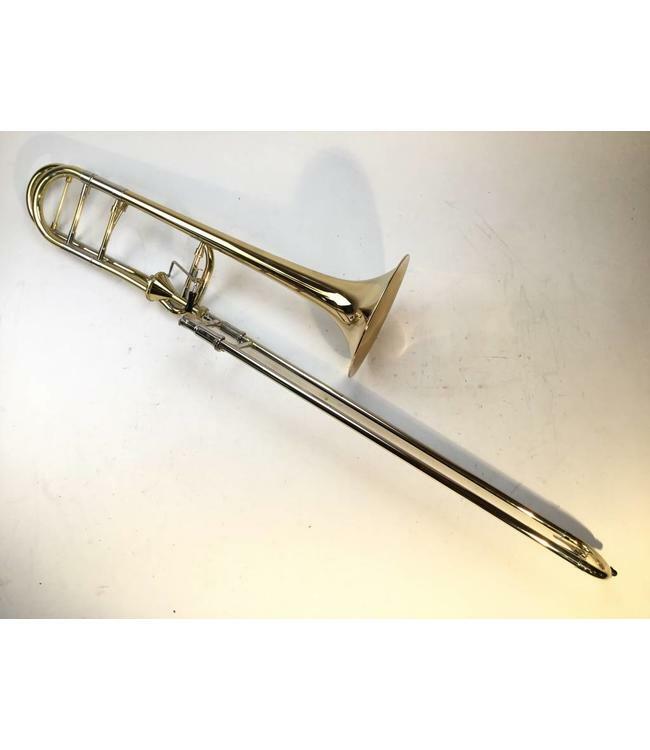 Used Demo, Dillon Bb/F tenor trombone with Axial Flow Valve. Instrument has little to no wear. Original description listed below. Dillon Music's professional tenor trombone. Features a free blowing axial-flow valve in F, lightweight nickel handslide, and an 8-1/2 inch gold brass bell. A professional quality trombone at an intermediate price. Comes with a hard case.